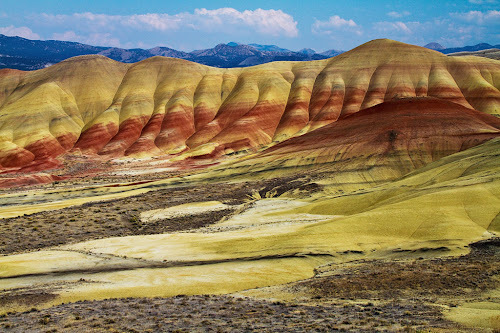 The Painted Hills of Oregon are one of the most beautiful and spectacular creations of the nature where some 3000 acres of hills have colourful bands in shades of red, yellow, gold, buff and grey. 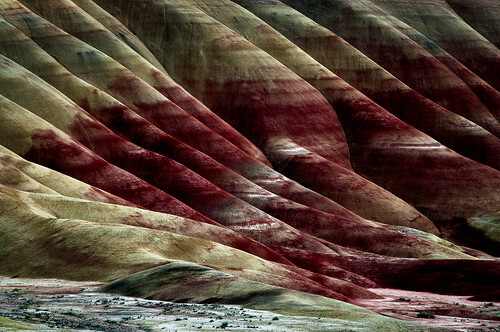 These streaks of colours were created by deposits of volcanic ash on the the hills of clay stone. 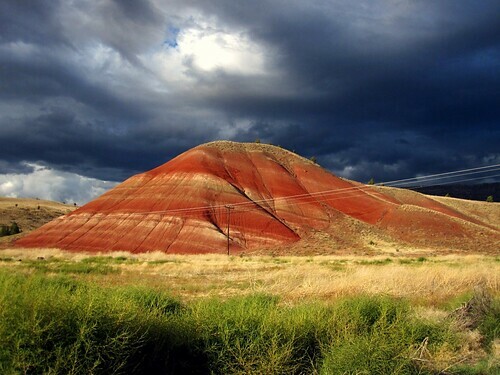 Plumes of ash created by volcanic activity in the region in the distant past deposited layers and layers of ash on these hills. Different bands contain different minerals which result in display of such hues of colours. 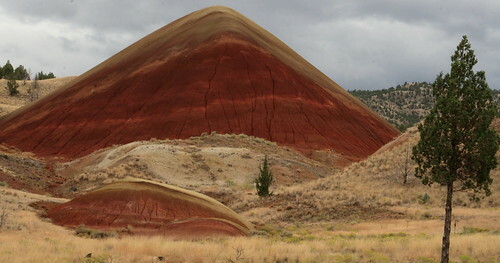 Depending not only on the season but also the time of the day, the moisture in the soil gives these hills ever changing tints of red, yellow, gold, buff and grey. 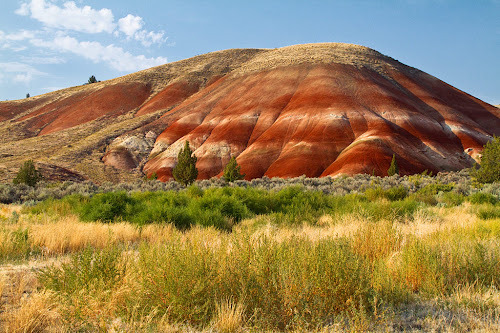 These hills which are aptly name "Painted Hills" are part of the John Day Fossil Beds National Monument, located in Wheeler County, Oregon. 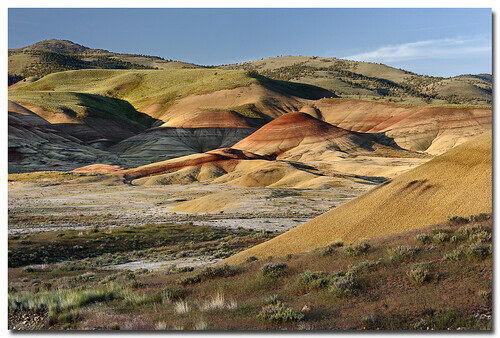 Here are some images which show the spectacular colours and the scenic beauty of the Painted Hills. Credits: I am thankful to Rob Robinson for allowing me use of couple of photos taken by him. 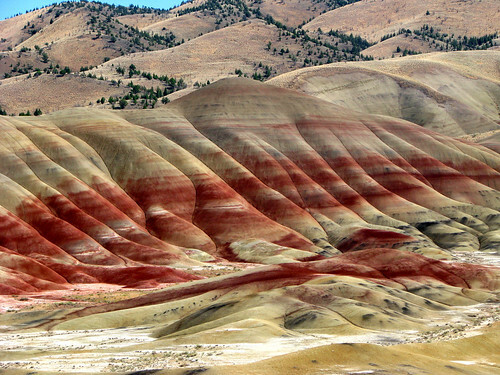 His sharing of images of the Painted Hills in Google+ brought these spectacular hills to my attention. Thank you Rob.